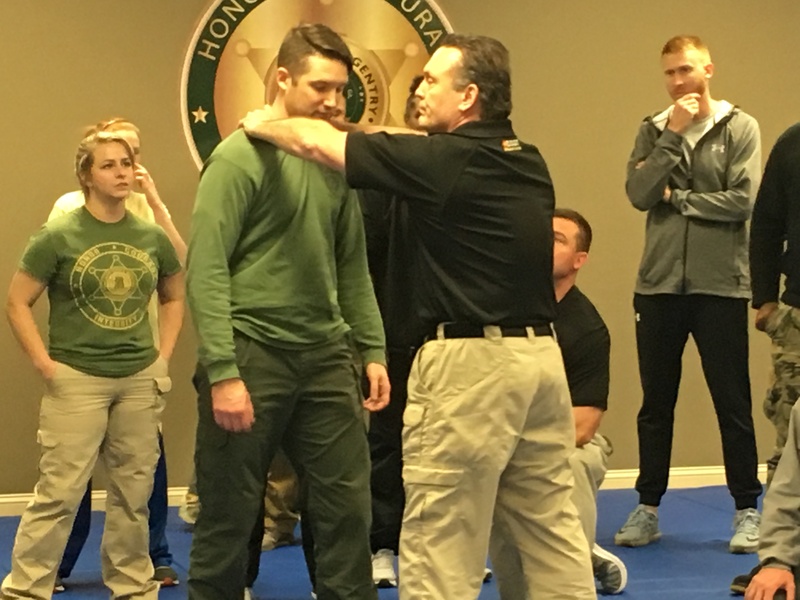 CULLMAN – From Wednesday through next week, the Cullman County Sheriff’s Office (CCSO) is hosting classes to train law enforcement officers from all over Alabama and other states to be defensive tactics instructors in their own departments. Thirty-one officers from as far away as Baldwin County in Alabama and the Atlanta area are attending the “Vanguard” course led by Johnny Lee Smith, president of SSGT (Strategic Self-Defense and Gunfighting Tactics) Defensive Tactics and Firearms. Participants, who must be certified law enforcement, corrections, military police or security officers, will be equipped to return to their home departments and teach others about such topics as reasonable use of force, effects and mitigation of survival stress, defense against common attacks faced by law enforcement officers, and controlling aggressive subjects. The SSGT Vanguard program is the official self-defense program required in all police academies in the state of Alabama, under regulations of the Alabama Peace Officers’ Standards and Training Commission. Including previously-certified personnel, at the conclusion of this course the CCSO will have five certified Vanguard instructors, who will teach both department and public self-defense classes. Wallace State will have two, who will train both the campus police and the school’s female traveling sports teams, so those students can be safer when on the road.